From private to business use, we provide high quality rental vehicles to suit your needs at competitive prices. Call us on 01603 660670 to discuss your needs. We have moved to our Brand New Purpose Built location at 9 Turnpike Close, Sweetbriar (Next to new Wickes Store) 01603 660670 New '68 Reg Vehicles Now In Stock Daily Van Hire Norwich Long-Term Van Hire Nationwide Car Hire Norwich The Newest Vehicle Rental Fleet In The UK! Never Beaten On Price! "Real Vehicles" "Real People" "Real Prices" Car Hire Norwich Van Hire Norwich Long Term Van Hire CrewVan Hire MPV Hire Minibus Hire Luton Tail-Lifts Hire Lowloader Hire Dropside Rental Tipper Rental 7.5 Ton Vehicle Hire DIY Home Removals We Have All Your Vehicle Rental Requirements! Norwich Based, Advance Vehicle Rental is an award winning vehicle rental company. We offer a wide variety of brand new rental vehicles throughout the UK for Long Term Van Hire, we also service Norwich and Norfolk customers with daily car and van hire at a low price coupled with the highest standard of customer service and new vehicles. We offer an Award Winning Van Hire service on our 28 day+ Van Hire Nationwide. We provide long term van hire at highly competitive prices, offering nationwide next day delivery service and local main dealer servicing included in our van hire prices. We offer a large fleet of New Rental Vehicles, ranging from new Cars, 7, 8 and 9 Seater MPV's, Minibus Hire, Short Wheel Base and Long Wheel Base vans, Jumbo vans, Luton vans with Tail Lifts, Tippers to Low Loader rental vehicles. 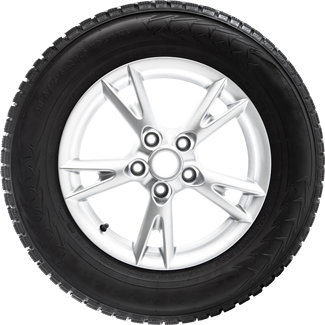 Our aim is to supply our customers with high quality vehicles for all their rental requirements. 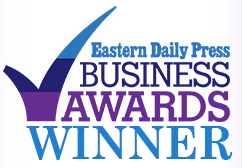 Our services and achievements have also been recognised by the Eastern Daily Press and Archant Group at their Business Awards, whereby Advance Vehicle Rental was the winner of a Best Business Award. If you're looking for personal van hire in Norwich we have a great selection to choose from, featuring brand new 2018 model small, medium, and large vans, tail-lift and jumbo low floor Luton vans too. If you’re looking for affordable Van hire in Norwich and across Norfolk call us on 01603 660670 or see our Personal Van Hire page. If you want car hire in Norwich for personal use we have a great selection of brand new vehicles available. You can hire all new Mini Coopers, Ford Focus and Mondeos, and high spec Peugeot 508GT Estates, all at the lowest car hire prices Norwich has to offer. Call 01603 660670 or look at our personal car hire section. If you need to hire a People Carrier in Norwich to take friends to a concert or the kids on holiday, we have brand new high spec models available for you to drive away today. The 8 seater Peugeot Traveller and 9 seater Mercedes Tourer both come with A/C, Privacy Glass, and much more. Check our personal people carrier hire section. Need to hire a van for your business? We have a great range of brand new 18 plate vans of all sizes available for business van hire in Norwich. Looking for business car hire in Norwich? We check regularly to make sure we have the best business car hire rates in Norwich, and we have a fantastic selection of new high spec cars of all sizes for you to choose from. Whether you want a nippy Mini Cooper or a top of the range Mondeo or Peugeot Estate, call Advance Vehicle Rental on 01603 660670 today. Do you need to hire a People Carrier for business purposes? We have the lowest prices for business people carrier hire in Norwich and Norfolk, with beautiful new high spec vehicles too. The 8 seater Peugeot Traveller and 9 seater Mercedes Tourer both come with Privacy Glass, and much more. Call us on 01603 660670 for a quote. Looking for long term van hire in Norwich? We can offer you a large range of vans of all sizes available for hire for 28 days or more, and up to 3000 miles per month. Need to hire a car for a long period? We have small, medium, and large cars available for long term car hire in Norwich and Norfolk, and at the best possible prices. If you need a car for a month or longer and plan to do a lot of miles, we can help. Call and ask us about long term car hire in Norwich or visit our long term car hire section. If you need to hire a People Carrier in Norwich for a long period we can help you. We have new 18 plate high spec Peugeot and Mercedes People Carriers available for long term hire in Norwich and Norfolk. 1000 to 3000 miles per month? No problem! Call 01603 660670 to get a quote or visit our long term people carrier hire section.